The design of a gargantuan telescope that will give astronomers their first glimpse into the farthest, faintest depths of the universe is well on its way, guided by Canadian and U.S. scientists and the company that will build it, piece by piece, in B.C. 's Lower Mainland. The Thirty Meter Telescope will be manufactured piece by piece in the Vancouver area and then assembled on Cerro Armazones in Chile or Mauna Kea in Hawaii. ((TMT Observatory Corp.))The design of a gargantuan telescope that will give astronomers their first glimpse into the farthest, faintest depths of the universe is well on its way, guided by Canadian and U.S. scientists and the company that will build it, piece by piece, in B.C. 's Lower Mainland. The initial design of the Thirty Meter Telescope has now been completed by Coquitlam, B.C.-based Dynamic Structures Ltd., confirmed Craig Breckenridge, who supervises the staff creating the drawings and models during the design phase. Once the astronomers involved have had a look, have proposed changes and are satisfied with the design, construction will begin, he added Tuesday. The TMT will be the largest optical telescope ever built, said Scott Roberts, the Canadian project manager for the joint U.S.-Canadian venture. "What that means in practical terms is its sensitivity will be close to 100 times that of existing telescopes," said Roberts, a mechanical engineer based at the National Research Council's Herzberg Institute of Astrophysics in Victoria, B.C. "So it opens up a whole new regime of possibilities for scientific exploration." Scientists hope to be able to use the telescope to probe dark energy and dark matter, the formation and evolution of galaxies, and black holes and the origins of stars and planets. "The telescope really will answer some of the major questions that we've posed as a society over the millennia," Roberts predicted. The TMT, a project led by the California Institute of Technology and the Associated Canadian Universities for Research in Astronomy, will be made at steel fabrication shops in the Vancouver area and then shipped to a site on either Cerro Armazones in Chile or Mauna Kea in Hawaii, where weather and light conditions are optimal for observations of the night sky. There, it will be assembled over three years by a team of more than 100, Breckenridge said. 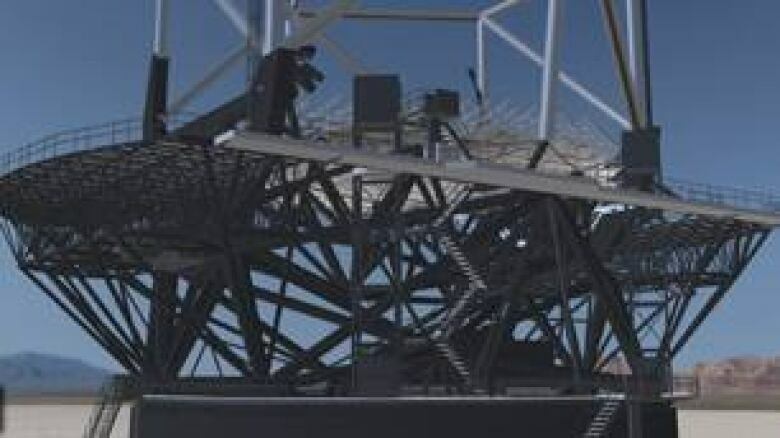 The centrepiece of the device will be a mirror 30 metres in diameter, giving it a "seeing" area nine times larger than the largest existing telescope. That mirror will be made up of many smaller mirrors that will have to be kept carefully aligned. Breckenridge said the telescope itself will be about the size of Vancouver's Science World and will be housed in a building about as long and wide as Vancouver's GM Place arena, but 22 storeys tall. If all goes well and it manages to raise the funding it needs, the whole project will be complete by 2018. The estimated cost of the telescope is about $990 million. However, there is a chance that if it isn't built soon, the TMT will miss its opportunity to be the largest optical telescope in the world. A group of scientists across the Atlantic are working on the European Extremely Large Telescope, which is expected to have a mirror 42 metres across and is also scheduled to be completed in 2018. The TMT project started in 2004 and has been a close collaboration among scientists and research and industrial engineers ever since, Roberts said. The dialogue begins with scientists, who say what they want the telescope to accomplish, which is then translated by engineers into the size of the mirror and the wavelengths the telescope can measure. Canadian scientists have also been involved in developing cameras, spectrometers and other instruments that will be built into the telescope. For example, the telescope will include a planet-formation imager to search for planets around other stars. It will also have an adaptive optics system, designed at the Herzberg Institute, that will remove disturbances in the image caused by the Earth's atmosphere, Roberts said. Dynamic Structures, a subsidiary of Empire Industries Ltd., is designing the telescope based on the requirements submitted by the scientists and research engineers. Its first telescope, the Canada-France-Hawaii telescope, built in the 1970s, was designed from hand drawings and hand-built models. "Sometimes if we needed to test if something would fit together or we needed to check clearances or something like that, we actually would have to make portions of telescope, and that's where it got expensive," Breckenridge recalled. "You buy some steel and put a bunch of guys working it and welding it and putting it all together, and then you go, 'That doesn't work.' 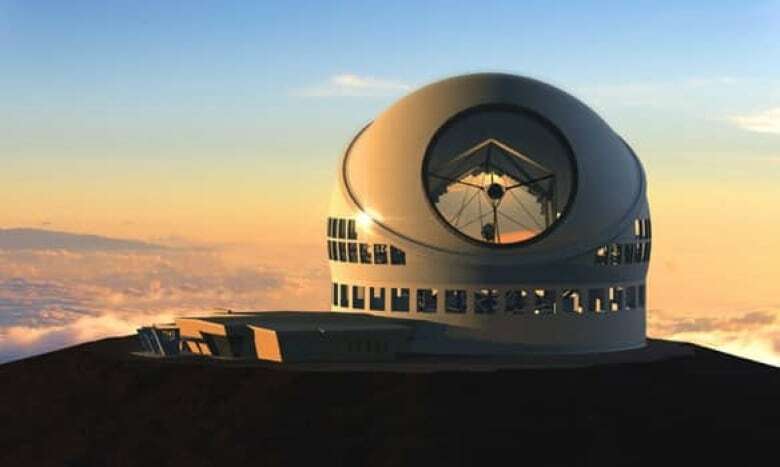 "
The TMT is being designed instead with 3D modelling software, known as CAD software, from Autodesk that has already been used successfully in the design of another telescope, the Atacama Cosmology Telescope. "Nowadays with the CAD software we can model it and be pretty assured that it's going to do what we think it's going to do," Breckenridge said. Of course, sometimes real models do have to be built to answer questions, Breckenridge said, such as how long construction or assembly will take. With the TMT, the company has already tested the assembly of some of the 4,000 roof insulation panels in order to be able to make an estimate. Dynamic Structures has been building telescopes since the 1970s, when it bid successfully for the Canada-France-Hawaii telescope. The company started off in 1926 as Vancouver Art Metal, which specialized in ornamental railings, but it evolved with the times. "As you gain experience in working with steel… you start to be able to build more complex shapes, and the companies get larger," Breckenridge said. Now, telescopes are a specialty for the company, which also built the Whistler Olympic ski jumps as well as more mundane structures such as bridges. "Telescopes and amusement rides won't keep you busy all the time," Breckenridge said. "They're really nice projects to work on and they're highly specialized, but in between, you've still got to keep everybody working, so you build the Vancouver airport or something like that." Roberts said Canada benefits from having a homegrown company with expertise in an area such as telescopes. "It's important to have parts of the telescope that we more or less have ownership of and delivery of. Having a group of Canadian university, government and industry all working toward a common goal pays off in many respects — it helps us develop new technologies."